I like how the face is more in focus than the rest. Reminds me of a Khajiit. It looks so real at first I thought it was photo manipulation. Hi, this is noice! And really awesome. I love the painting details... 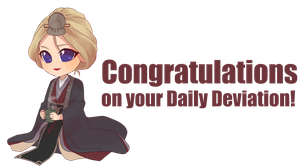 It's very tradition-ish... Lol and congratulations on the Daily Deviation... -^^- Meow! Very well done. Could be an illustration of a character from Larry Niven's Man-Kzin Wars novels. The Rakshasa ones are really amazing. What an amazing work ! He definitely looks like he has some miles on him. Great character! Like a noble Khajiit(?) from the Elder Scrolls who eats a lot of meat. Solid work. Great painting and character. Makes me think of a Kilrathi in the wing commander saga. That is absolutely stunning, are you doing these for something? It is personal project. Thanks.